Here at Applause Your Paws we frequently have dogs come in who could use a little confidence boost. Our certified dog trainers not only work with your dog on obedience, they customize the training for your dog’s specific needs. If your dog is shy, intimidated by new environments, big dogs, or new people, don’t fret! It’s very common to have a shy or fearful dog and we have the tools and expert dog trainers to help. Brinkley (the adorable cockapoo in the middle) came into our board and train program to help build his confidence around larger dogs. Brinkley was intimidated at first, but excelled in every training task he was given. Since he could use a confidence boost, our professional dog trainers slowly introduced him to larger dogs and had him working around them one by one. He quickly gained his confidence and even learned to do a few new tricks in a room full of dogs larger than him. In the picture above, he demonstrated his “down stay” with a few of his new large breed friends who are also in our board and train program. Each dog has his own personality, so our expert dog trainers customize your dog’s training session not just on your wants but on your dog’s needs. Something as simple as teaching your dog to spin in a circle, or even a down stay are just a few examples of confidence building commands. To learn more about how to help your nervous or fearful dog, contact us today! Need help with your dog or puppy in South Florida? Our facility is located at 4423 SW 74th Avenue, Miami FL 33155 just off Bird Road and the Palmetto (826) expressway in the Bird Road Art District (BRAD). In addition to our bootcamp we offer puppy training classes, group classes of obedience, competition, agility, frisbee, rally, rally free, tricks, nose work, reactive dog class and much more! We are open 7 days a week so we encourage you to stop on in and meet us. If you want to see our bootcamp in action feel free to pass by Monday-Friday from 9-5PM, which is when we’re working (training!) camp dogs. We teach affordable group classes in the evenings with qualified, certified dog training instructors. For more information you can reach us at 786-529-7833 or emails training@applauseyourpaws.com. 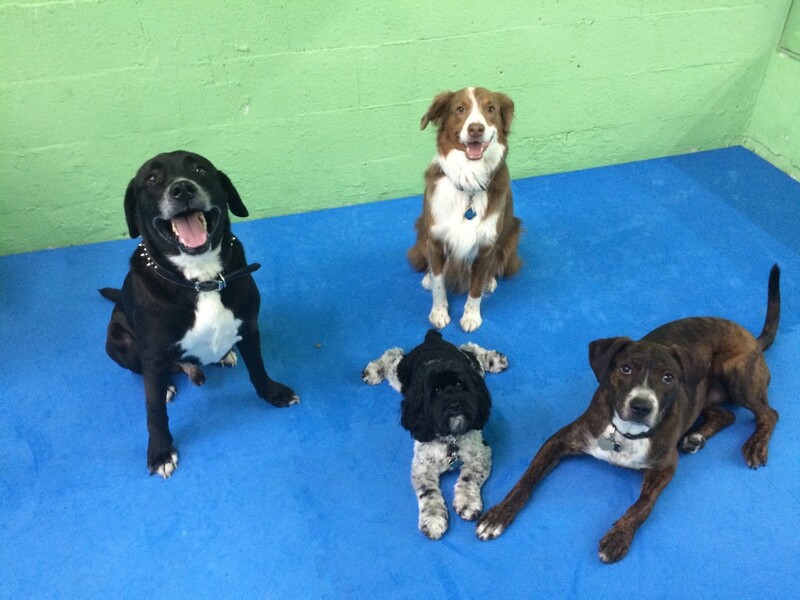 We train positively and believe that you don’t have to be RUFF to teach your dog stuff. We are Miami’s expert dog trainers. We get results!